Which is Best for my Jewelry? Platinum, gold, and silver are all used to make jewelry and each metal has its advantages and disadvantages. Today's blog highlights the advantages and disadvantages of gold in jewelry making. 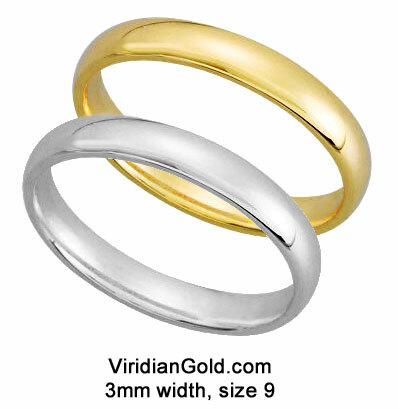 For a beautiful deep yellow color 14K or 18K gold is the best choice. The deep yellow color can be used to make beautiful pieces especially when combined with gemstones with deep, rich colors such as ruby, emerald, sapphire, tanzanite, or amethyst. Another advantage of gold is that it never tarnishes. This does not mean that gold jewelry never needs to be cleaned. Gold jewelry with intricate designs will pick up dirt and body oils, especially if the piece is worn every day, so cleaning is usually needed at least every six months. Ask your jeweler for a recommendation for a good jewelry cleaner. Many jewelers will clean and inspect your jewelry free of charge. So what are the disadvantages of gold jewelry? Gold is expensive. 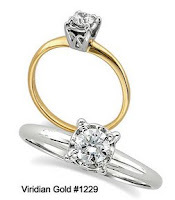 14K gold jewelry will typically cost 7 to 10 times more than an identical piece in sterling silver. If you really need gold for your jewelry, one way to reduce cost somewhat is to choose 10K gold. The 10K alloy is 42% gold, so the prices will be lower. Another disadvantage of gold is the softness of the metal. Gold has a hardness of 2.5-3 on the Moh's hardness scale. This means that gold jewelry can scratch or dent more easily that some other metals. This is especially true for rings that are worn every day. For necklaces, pendants, and earrings this is not as serious a problem since these items are exposed to less wear and tear than rings. Despite these disadvantages, gold has never faded in popularity or fashion appeal for the last several millennia. We hope you will visit us again to read our next entry about the advantages and disadvantages of platinum.